With the first feeder bands from powerful Hurricane Matthew sweeping Thursday morning across southern Florida, Gov. 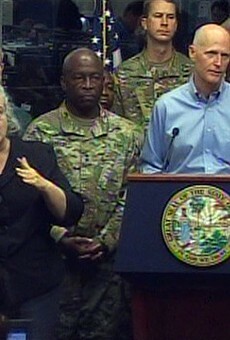 Rick Scott advised people who live in evacuation areas not to wait. "If you're watching and in an evacuation area, get out. 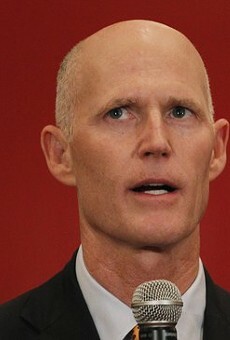 Don't take a chance," Scott said after a briefing at the state Emergency Operations Center in Tallahassee. "Time is running out. This is clearly going to have a direct hit or run right along our coast, and we're going to have hurricane-force winds." Scott projected that millions of people will lose power for "days" from catastrophic winds and storm surge that he said "can completely wipe out well-built homes and destroy neighborhoods." With 1.5 million people under evacuations, tolls have been lifted on most major routes out of southern and eastern Florida. Also, 2,500 members of the Florida National Guard have been deployed to three locations in the northern, central and southern regions of the state. The eye of the storm, which in a five-day outlook starts to loop southeast in the Atlantic rather than run into South Carolina as originally forecast, is due to be along Florida's coastline late Thursday and run slowly run north. Hurricane warnings and watches are posted along the state's entire East Coast, with tropical storm watches in effect on the Gulf Coast. "Unfortunately, this is going to kill people," said Scott, who planned to travel Thursday to the state's East Coast, as he did on Wednesday. 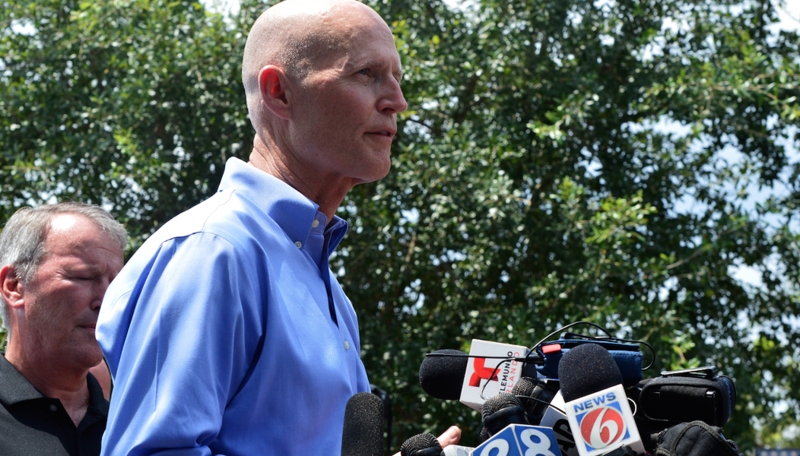 Scott said he intends to spend Thursday night at the Emergency Operations Center in Tallahassee. 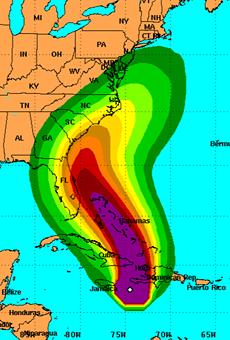 National Weather Service forecasters in Miami projected "widespread and extensive" damage along Florida's East Coast, as Matthew has the potential to build into a 145 mph Category 4 storm as it travels from the Bahamas. The storm is credited with killing at least 35 people in Haiti, bringing its death toll to 41. Florida Power & Light, which serves much of the state's East Coast, has brought in 12,000 workers to work on power restoration, Scott said. Scott said there is plenty of fuel for people planning to travel, but there will be fuel issues. "We don't have a shortage of fuel, we're going to have a shortage of how fast we can get it to stations," Scott said. 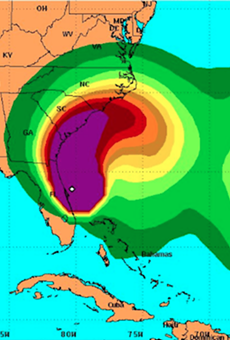 Florida cruise ports on the East Coast have closed in advance of the hurricane. The storm is projected to bring heavy rains that could reach up to 12 inches in some areas, 5- to 9-foot storm surges from Sebastian Inlet to the Georgia line, strong rip currents, tornadoes, beach erosion and waves along the beach up to 25 feet, Scott said. 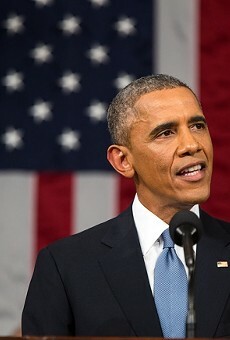 Scott has asked President Barack Obama to declare emergencies for 26 counties and for federal assistance to meet pre-landfall needs including water, food and tarps. "We'll need more," Scott said.